I am a sucker for love stories, especially when they make the implausible look plausible. Milan Luthria definitely proves he can be "different" with the same masala. Bollywood is back with its tired and tested recipe of popcorn pulp. 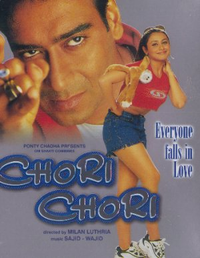 Despite the right mix Chori Chori is an insipid fare.